Mystery Readers Journal has done lots of theme issues, and we have one coming up in 2009 on Crime for the Holidays that you won't want to miss. My favorite holiday is Halloween, and I have an incredible list of mysteries set during Halloween. No surprise! I don't really have enough room to list them all, but thought I'd list a few to get you through the day. Not enough? Get out your Edgar Allen Poe and read "The Telltale Heart". Not quite Halloween, but in the spirit. I posted this recipe on Murderous Musing/TeamBuilding Talk, my other blog, but I thought people who read Mystery Fanfare would want to see it--just in time for Halloween! Halloween is one of my favorite holidays. And, I'm always "dying... for chocolate." These spooky Halloween cupcakes are fun to make and eat. Use any one of the following decorating ideas on its own, or put several together to create a tray of different treats. Easy to bake, you can use any devil's food cake recipe. To make a cupcake cemetery, spread devil's food cupcakes with chocolate icing. 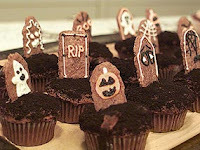 Dip the top of each frosted cupcake in crushed chocolate wafers to create the look of dirt, then insert shortbread-cookie tombstones, piping them with scary messages like "Boo!" or "R.I.P." in royal icing. Top more devil's food cupcakes with chocolate ganache and chocolate-wafer "dirt," make a hole in the center of each cupcake with your finger, and position half a gummi worm to look like it's slithering out of the hole. I haven't been able to bring myself to write before about the loss to the mystery community of one of the greatest authors. 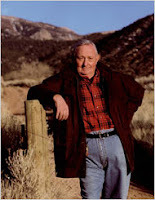 Award winning author Tony Hillerman died last weekend of pulmonary failure. Particularly sad because Tony had a big heart. He was friendly and supportive to all he met. He was a gentleman and a gentle man. Tony Hillerman was the acclaimed author of the Navajo Tribal Police mystery series featuring Joe Leaphorn and Jim Chee. Anne Hillerman said Sunday that her father was a born storyteller. "He had such a wonderful, wonderful curiosity about the world," she said. "He could take little details and bring them to life, not just in his books, but in conversation, too." Deanne Stillman wrote a wonderful tribute at LA Observed. Marilyn Stasio, NYT mystery reviewer, also has a wonderful obituary. I was lucky to meet Tony on many occasions at Bouchercons and other conventions over the years. I remember his cogent thoughts and comments on Native American religion, culture and spirituality on my panel on religion and the mystery at the 1985 Bouchercon. It was a Sunday afternoon, a time when most attendees would have left, but the room was full. They came to hear this great man, this great writer, this great friend who instilled his fans and readers with a respect and knowledge of Native Anmerican culture. He'll be missed. San Francisco State University's Museum Studies Program announces a new exhibition "Agatha Christie's Egypt: Life on the Nile in the 1930s." Egypt held a special meaning for the career of the Agatha Christie: After traveling there and taking the trip up the Nile on a tourist steamer, she wrote one of her most successful books, Death on the Nile, which features the one and only Hercule Poirot solving the mystery murder in a group of British and American travelers. The exhibition shows Egypt the way it would have looked to the eyes of Agatha Christie and other Western tourists of 1930s. Magnificent black and white photographs show archaeological excavations and the great Egyptian monuments - Sphinx of Giza and the temples of Karnak and Luxor. The photographers of the 1930s caught the last view of the island of Philae, which went under water after the Aswan Dam was opened. Next to these iconic images are pictures of the daily life of Egyptians: people making mats, molding bricks, and discussing everyday affairs. The magazines and newspapers of 1930s provide an authentic atmosphere for the "period room," modeled after a luxury hotel lobby. Here, visitors get a chance to relax, leave their names in a guest book and try out the stereoscope and stereographs of Egypt. Those three-dimensional images were the first 'high definition' photographs, popular in 1930s. A visit to Egypt could not be complete without going to the museum of antiquities to see mummies, statues of gods, and contents of tombs. The core of this part of the exhibition consists of the objects from the famous Sutro Egyptian Collection, purchased by former San Francisco Mayor Adolph Sutro in 1884. The treasures of the collection on display include the 3000-year-old mummy called Nes-Per-N-Nub with a rare triple-nesting sarcophagus set (one of the only 3 triple-nesting sarcophagi in the US! ); other mummified remains; the stunning Amarna princess limestone statuette; jewelry and amulets that accompanied Egyptians to the afterlife. For visitors of all ages, the exhibition provides a unique hands-on INTERACTIVE MUMMY. If you always wanted to learn more about the art of mummification, you can practice with our custom-made interactive mummy, which is equipped with lungs, liver, kidneys, and brains to be removed. Wrapping the mummy is the final stage of this adventure! The exhibition is located at San Francisco State University, 1600 Holloway Avenue, San Francisco, CA 94132-4030, in Humanities Building, 5th Floor, Room 510. It would be open to the public 11:00 to 4:00, Monday through Friday, November 3rd - December 12th, with a hiatus for the week of Thanksgiving. Admission is free. I gave out the Macavity Awards at Bouchercon in Baltimore during opening ceremonies. What a great night. I followed the new CrimeSpree Awards. The Barry Awards were given out after the Macavity. They're the awards given out by readers of Deadly Pleasures and Mystery News. So without further ado... the Macavity Award winners 2008. Congratulations. I just started an incredible collection of short stories, Istanbul Noir, edited by Mustafa Ziyalan & Amy Spangler. With this collection and with Paris Noir, Akashic Books continues its groundbreaking series of oriignal noir anthologies. Each book is comprised of all-new stories, each one set in a distinct neighborhood or locations within the city of the book. So Istanbul Noir moves fearlessly to the city hosting the Euopean/Asian divide. This series launched in the Summer of '04 with the best-seller Brooklyn Noir, has put noir stories on the map! Check out the Guardian (UK) for Tana French's top 10 maverick mysteries. French's Top Ten: The Secret History by Donna Tartt. The Daughter of Time by Josephine Tey. The Butcher Boy by Patrick McCabe. Innocent Blood by P.D. James. Mystic River by Dennis Lehane. The Murder of Roger Ackroyd by Agatha Christie. The Talented Mr. Ripley by Patricia Highsmith. Hurting Distance by Sophie Hannah.The Franchise Affair by Josephine Tey. A Field of Darkness by Cornelia Read. I haven't read Hurting Distance, so I'll put that on my TBR list. I really admire Tana French as an author who breaks the mold. Don't miss The Likeness. Vampires are all the rage today, but the classic vampire novel of them all is Dracula by Bram Stoker. Leslie S. Klinger's New Annotated Dracula couldn't be more timely or more insightful. It's so enjoyable to read. Using the definitive edition of the 1897 text, this annotated edition contains examples of all the evidence, including contemporary travel books, scientific texts, Victorian encyclopedias, as well as Stoker's own notes for the narrative and the manuscript itself. There are over 1500 annotations that provide incredible background on language, customs and history of Victorian England and end of century Europe. Maps, photographs, and illustrations round out this incredible book. 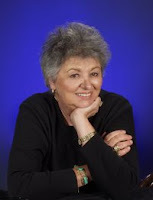 Leslie S. Klinger is the author of the 3 Volume New Annotated Sherlock Holmes which won the Edgar and was nominated for the Agatha, Quill, and Macavity Awards. Catch Les on TOUR now.